Yes, the return of Crowd Control after months and months. Click HERE for the live review of their triumphant, and equally vicious, return. Furthermore read about how Wizards of Firetop Mountain may be the best live act in Dublin right now and get even giddier for Zom. 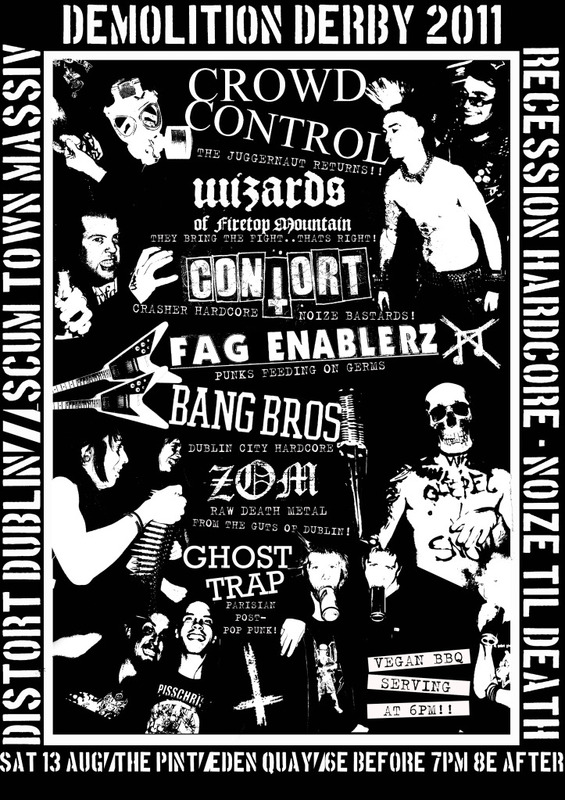 Fag Enablerz, Contort, Bang Bros and Ghost Trap were also on the bill.